Enjoy the slide show, then scroll down the page to see the individual designs. 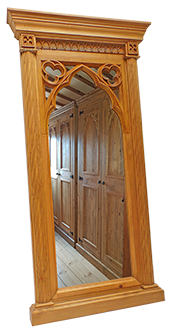 PLEASE REMEMBER that our mirrors can be made to any size or format, to your specifications! Further Discounts available for combined orders. CLICK ON THE SMALL PHOTO TO SEE A LARGER IMAGE! 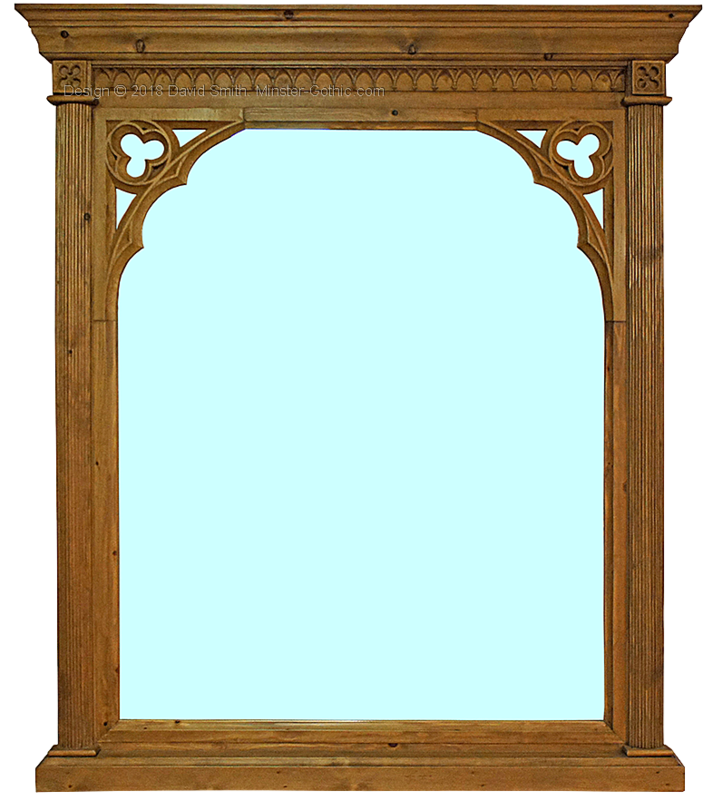 Minster Gothic Wall / Dressing Mirror. 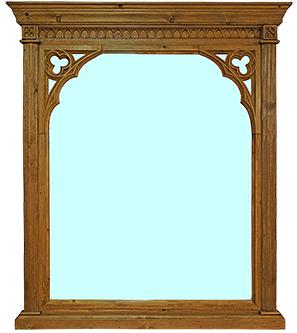 Minster Gothic Smooth Rustic "Robin" combined Hall-Rack-Mirror. 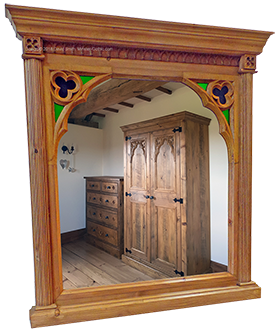 We have 4 distinct styles and many finishes for our Minster Gothic range and we're always open to suggestions for more! All items in the range are available in any of the 4 styles and finishes. We are also happy to supply Minster Gothic items in special finishes, although there may have to be a small surcharge for this. A specially developed finish to achieve a “reclaimed antique pine” look. More often just using the exclusive carved gothic / medieval corner details and the two variations of quatrefoil paterae where appropriate. We also use "distressed" antique effect fittings/hinges etc. This can be varied on request. An ultra-rustic “rough-sawn / hewn” finish deliberately leaving visible saw-cuts and signs if distressing to the timber. Mainly just incorporating the exclusive carved gothic / medieval corner details and the two variations of quatrefoil paterae where appropriate. All of our Minster-Gothic Range is now available in a slightly distressed painted finish. Available in a wide variety of shades.